When I was kid whenever my parents would take me out to a restaurant I only got one thing. 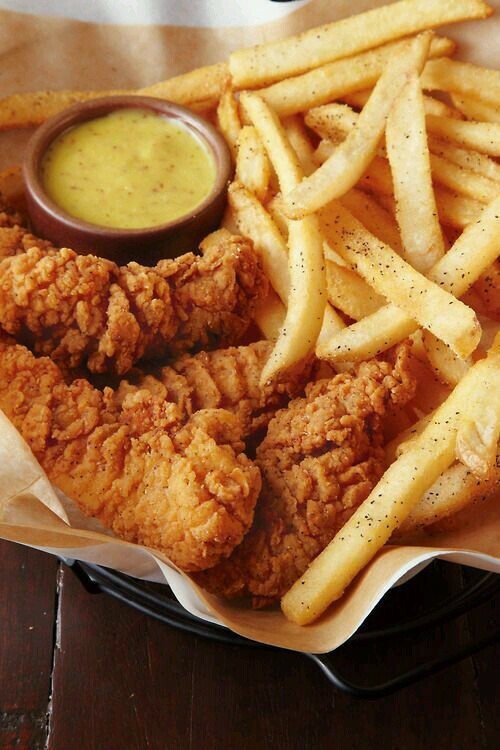 Chicken strips and french fries. Unless they took me to a Mexican restaurant then all food on the menu was an option because I just love Mexican food. But if it wasn’t Mexican, chicken strips were my go to. You see I was a very picky eater as a kid. There was more things that I didn’t like than liked. I was particular about certain seasonings, textures, and just the way things looked. My food had to look perfectly presentable. If I got a burger or a taco and it fell apart I would cry (not kidding) because it no longer looked like the picture. Now with chicken strips and fries I didn’t have to worry about any of that. No exotic seasonings, nothing that could fall apart, just glorious, easy finger food. With a side of ranch, I was perfectly satisfied, restaurant style ranch was so much better than Kraft. Ihop was my favorite place because they had the best chicken strips, crispy but not too hard. It’s amazing how such simple things can bring back such vivid memories. I still really like chicken strips and fries but whenever I’m in a restaurant that serves it there always something more alluring on the menu. But when in doubt I’ve got my old stand by. Yay!! A fellow lover of chicken strips and fries!! And thanks for reading! !